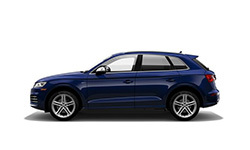 The 2018 Audi SQ5 from Audi San Diego in California, serving La Jolla and University City, is a luxury SUV that combines power and technology to offer an exciting driving experience with comfort and class. 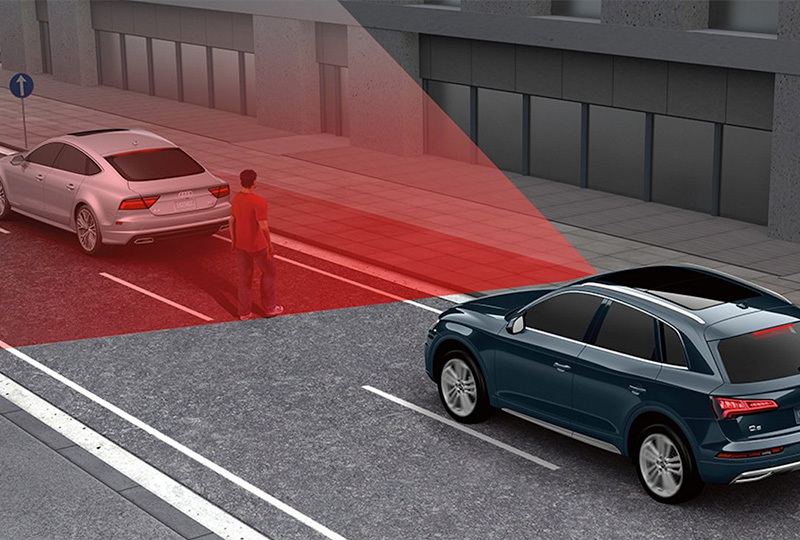 Never go under the radar with a stylish exterior that demands attention with LED headlamps and a Singleframe grille. 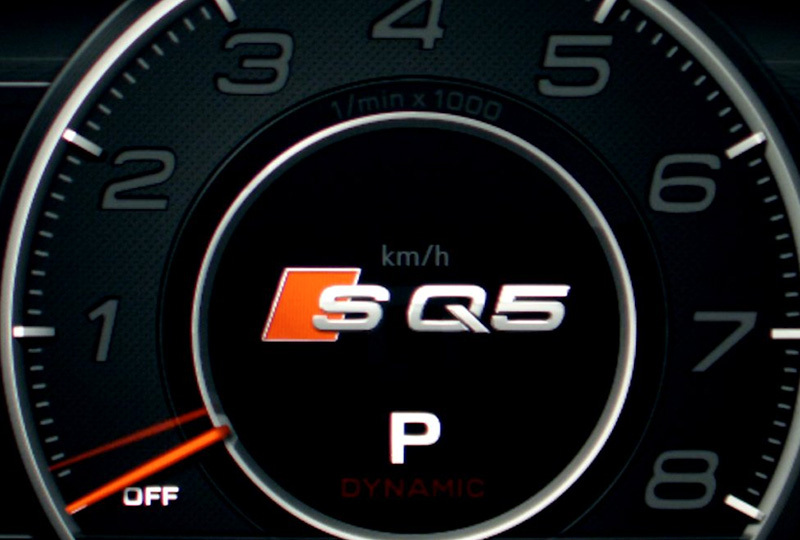 Rev up your 3.0L V6 engine that offers a turbocharged 354 horsepower and standard Quattro® all-wheel drive for impressive capability no matter where the journey takes you. Lean back into your premium seats to enjoy comfort like no other while the intuitive dashboard entertains with multiple technology features. 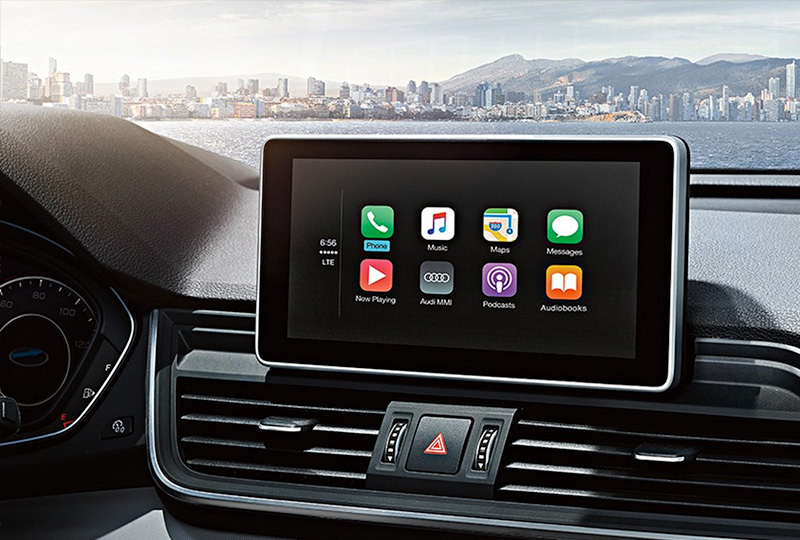 Sync your mobile device to the Audi smartphone interface, which offers phone mirroring through Apple CarPlay and Android Auto. Effortlessly monitor your performance and trip details with the available Audi virtual cockpit, a fully digital instrument cluster with a massive 12.3-inch screen and plenty of advanced features like Google Earth™ and navigation support. Today is a great day to buy a new 2018 Audi SQ5! We have a great 2018 inventory, so visit our showroom today at 9010 Miramar Road, San Diego, CA. We can't wait to put you in the 2018 Audi SQ5 of your dreams! The sportier look and feel of the Audi SQ5 design is stitched into the very fabric of the interior, from a three-spoke multifunction flat-bottom sport steering wheel to available Fine Nappa leather front sports seats that will invigorate drivers and impress riders around every turn. The Audi SQ5 is engineered with legendary quattro® all-wheel drive and the powerful 3.0L TFSI® engine that delivers 354 hp and 369 lb-ft of torque. Paired with an eight-speed Tiptronic® automatic transmission that features remarkably fast and smooth shifting performance, the Audi SQ5 delivers a dynamic driving experience. The available Audi virtual cockpit is a fully digital 12.3-inch instrument cluster that allows the driver to customize information such as navigation and audio, offering classic, infotainment and sport modes, as well as Google Earth™.